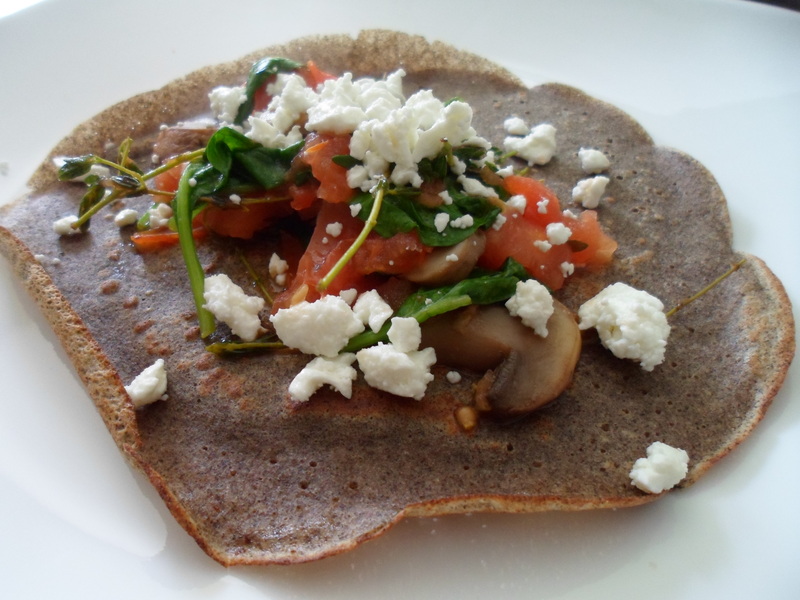 This super easy crepe recipe is made up of whole grains and vegetables to help start your day off right. The whole grains and vegetables can help you feel full because of their fiber content, and the vegetables I used also help provide essential vitamins and minerals such as vitamin A, vitamin C, vitamin D, potassium and iron. These are important for things such as vision, wound healing, bone health, heart health, and delivering oxygen to different parts of our body. When trying to formulate my recipe, I did find quite a few crepe recipes that said it was best to refrigerate the batter for at least an hour before cooking to help decrease the risk of tearing the crepes. Therefore, I decided to make the batter the night before so I could start making crepes as soon as I woke up. I didn’t have any issues with the crepes tearing or sticking to the pan so I think I will continue to use that method in the future. Mix flour and salt in a large bowl or tupperware. Add milk, eggs and water and whisk until blended well. Cover and refrigerate over night or for at least an hour. Heat a skillet (approximately 10″) over medium high heat and lightly spray with cooking oil. Add crepe batter (a little less than 1/4 cup at a time) and tilt pan around to spread batter mixture. Flip with a large metal spatula after the edges look slightly browned and are starting to curl up (about 30 seconds). Cook on the opposite side for about another 30 seconds and then remove from heat. Stack crepes on a wire cooling rack, use wax or parchment paper to separate them if sticking to each other. Continue to repeat until all the batter is used. Makes approximately 12 crepes that are 6″ in diameter. To make the filling add olive oil to skillet and heat to medium/low. Add mushrooms, garlic and thyme once skillet is hot. Stir. While the mushroom mixture is cooking, chop tomatoes and then add to skillet. Mix and continue cooking until tomatoes are warm. Turn skillet to low and add spinach, stirring until spinach is warm and slightly wilted. Remove from heat. 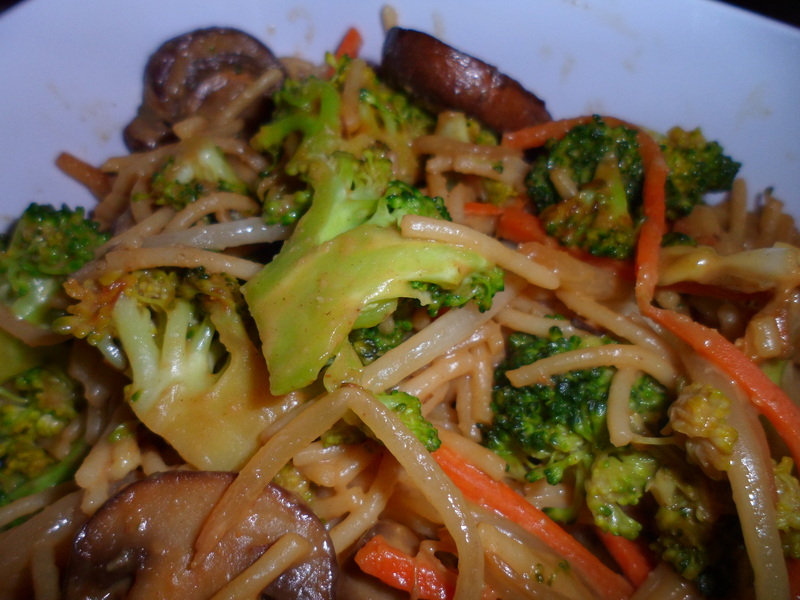 The vegetable mixture may be a little watery depending on the kind of tomatoes you use. If it is watery, just use a slotted spoon or fork to scoop out the vegetables so your crepes do not get soggy. Put topping in the center of crepes and sprinkle with reduced fat or nonfat cheese if desired. (I used nonfat feta cheese) Fold crepes over veggies and serve. 1. Avoid charring your meats. If there is a burnt spot, cut it off. 2. Choose leaner meats to help prevent the dripping of grease into the open flame. 3. Don’t reuse the drippings for gravy or sauces. 4. Continually turn meat over. 5. Don’t just eat a pile of meat, throw some veggies or pineapple on the grill. 6. Don’t grill your meat everyday, but if you do find yourself grilling a lot, try cooking your meat in the oven for a little bit first to reduce the cooking time on the grill.